Thank You for volunteering for the 11th Annual Hope 4 You Breast Cancer 5k and 1 Mile Walk on Saturday June 1st, 2019. This race wouldn't be possible without the dedication and time given by each and every one of you. The Race will be located, rain or shine, at 3950 East Newman Road, Just North of Hughes Stadium at the Cross Country Course at Missouri Southern State University! I, the volunteer, intending to be legally bound for myself, my heirs, executors and administrators, waive and release any and all rights and claims for damages I may have against the Hope 4 You Breast Cancer Foundation, MSSU, and the officials and sponsors of the Race 4 Hope. I acknowledge that I am aware of the inherent risks of volunteering for an athletic event of this type. 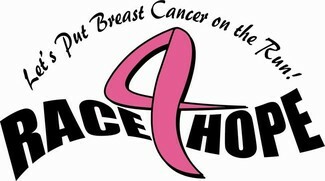 I attest and verify that I am physically fit and capable of volunteering for this event. Further, I grant full permission to the Hope 4 You Breast Cancer Foundation to use photographs, videotapes, motion pictures and recordings of me, or any other record of this event for any legitimate purpose. Please Arrive by 7:00am for the course brief at 7:15. Please Arrive by 7:15 am! Please arrive at 6:15, you should be finished by 9:30 am.